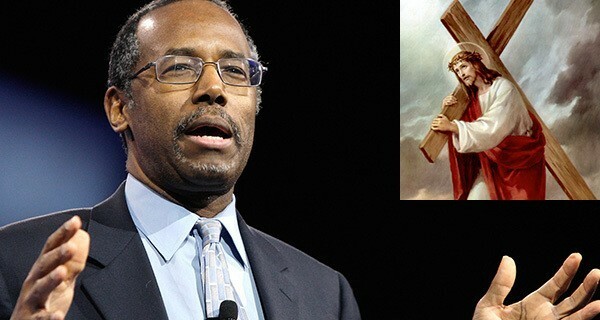 Republican presidential candidate Ben Carson said yesterday in a Fox News interview that if he were Jesus, he wouldn’t have let the Romans crucify him. “If Pontius Pilate asked me if I was the King of the Jews, I wouldn’t just stand there and let him crucify me. I would point to whoever the real King of the Jews was and yell to my followers, ‘Hey guys, everybody attack him!’” said Carson when asked how he would react if he was in Jesus’s shoes. Carson went on to say that the amount of early Christians fed to lions would have been “greatly diminished” had the Christians been armed with guns. “There is a reason that Roman emperors took away guns first,” said Carson. These comments have come under fire from the Christian community, with some questioning Carson’s grasp on the reason behind the crucifixion, while others have pointed out that guns didn’t even exist in ancient Rome.